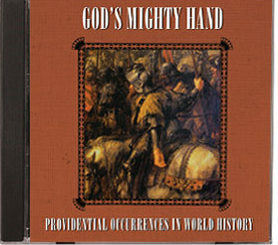 Recognizing God's mighty hand in his own life, Richard "Little Bear" Wheeler compiled stories of impossible triumph despite a losing battle, Divine protection amidst sure annihilation and heroic endeavors in the face of defeat, all with a single purpose of demonstrating the miraculous Providential Occurrences in World History. Read about the miracles of General Washington, Sergeant York, the Battle of the Bulge, and more. Learn how Wycliffe, Tyndale, and Martin Luther all fit into God's mighty plan for all times. An indispensable devotional for the entire family and resource for avid students of history of all ages.